Ive updated a bad wallshadow and the recolours, so please redownload the meshes and recolours and replace the old files with these new ones in your downloads folder please! 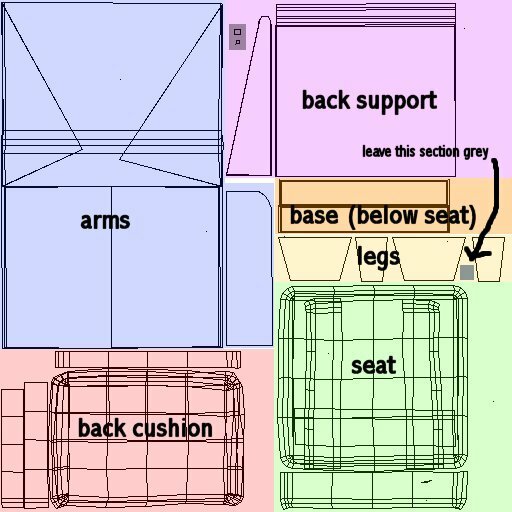 Ive always wanted to make another modular sofa, because I thought my first sofa was a real mess. Well, with a bit of spare time, I've gotten around to making them. These sofas are pretty much far from perfect, but I reckon theyre a mark improvement from the first one. Want to mention that I went through a rough patch with my gf recently, we decided to make this set as a team, and corny as it sounds, it made us closer than ever. 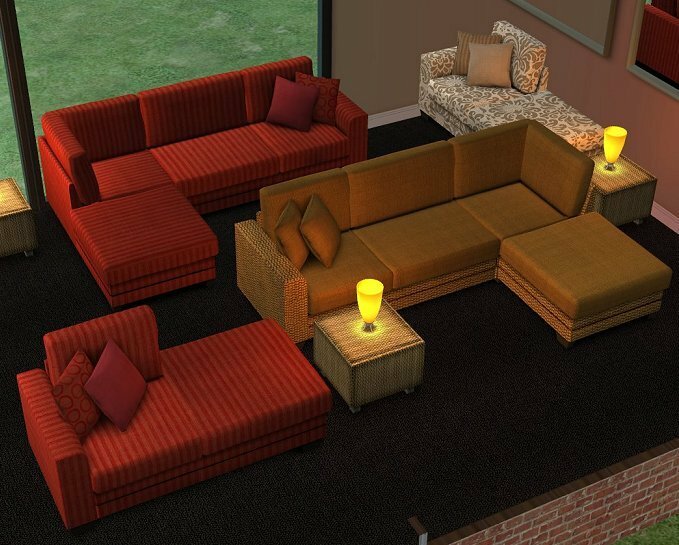 So, I want everyone to know that my georgie did the texturing of the sofas and I couldnt have been danm prouder of her. 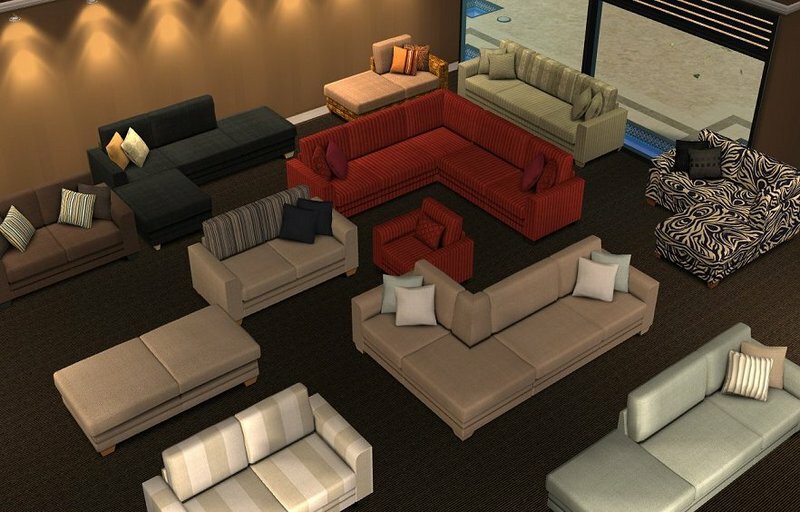 You can use these sofas to create different modular shapes, as shown on my pictures and lots more shapes you can think up of. I used the repository technique, thanks to Jwoods and his tute/ modding infocentre, which prooved extremely useful here. 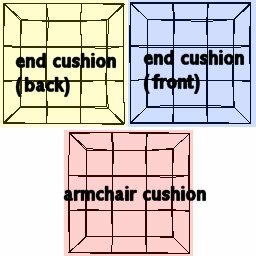 - You'll need to download the main mesh, (with the cushions) in order for the other 2 to work with their textures. - The beauty of these sofas is that I've made an overlay of the shadows on the texture, so it makes recolouring childs play. 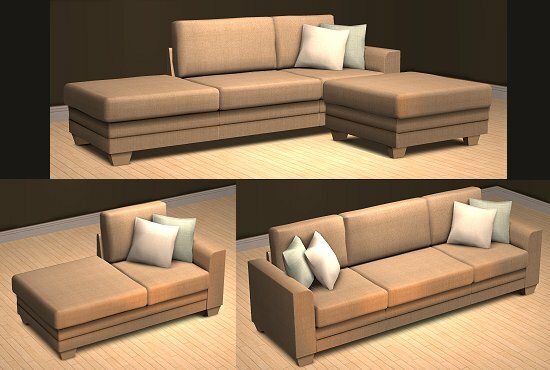 You can simply wack on your flat fabric or wood or texture of choice, and the shadows mesh does all the hard work for you and will make the sofas look good in game. Ive attached the uvmapping if anyone's interested in recolouring. - Much improved (less) poly counts from my first sofa. 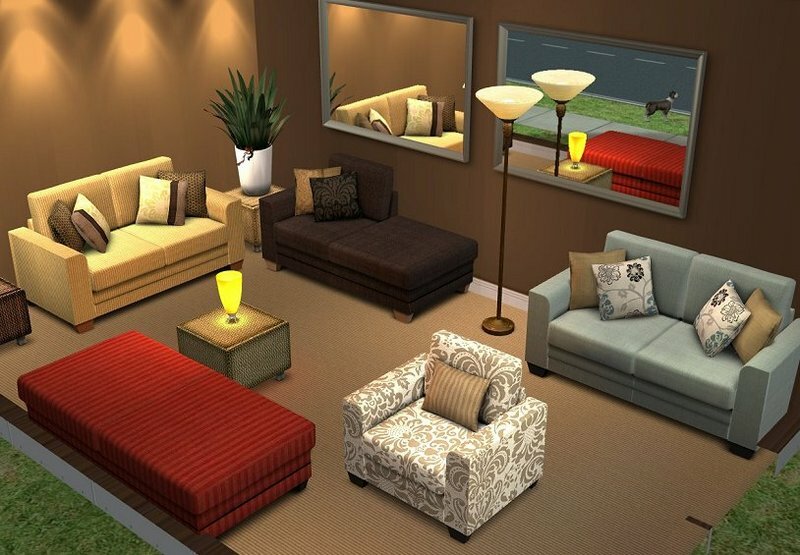 Thats it, hope you enjoy the sofas and have fun experimenting with the different modular shapes. The rest of the objects in the pics are Maxis or I made, and might upload them in the future. Recolors of Annie Modular Sofa, "Prism Set"
These recolours may or may not be endorsed by blake_boy.